The Kingston Soap Company has been a regular vendor at the market since 2008. 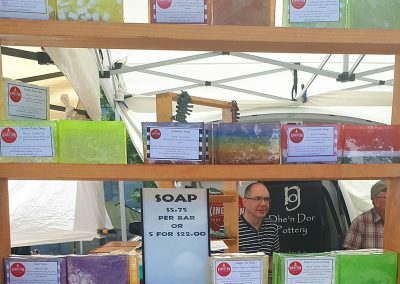 I create a variety of soaps using olive oil and a key ingredient. 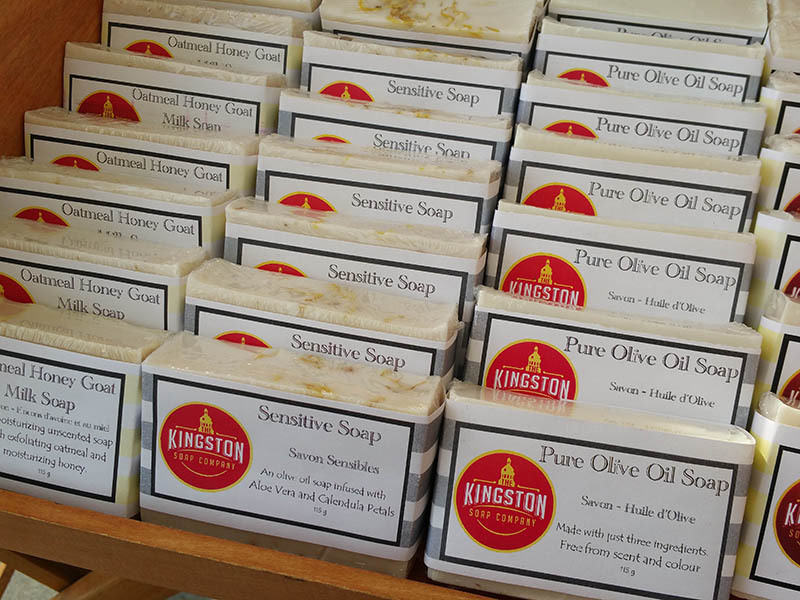 Olive oil creates a very gentle soap that is highly moisturizing. 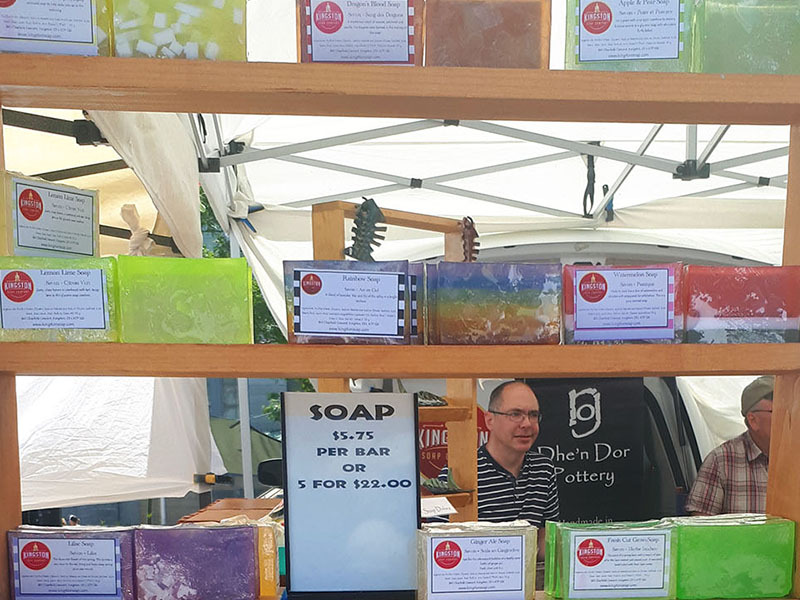 I also produce a line of vibrant fun glycerin soaps. 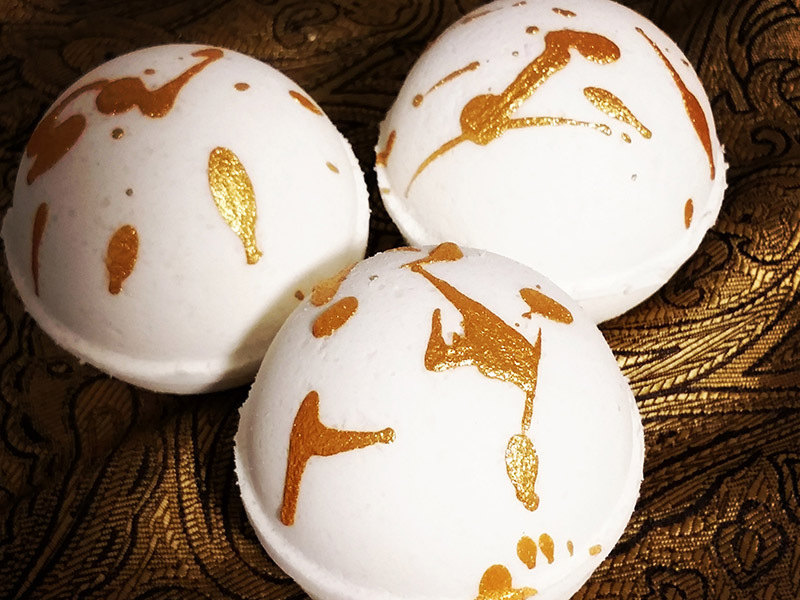 These hold the scent very well and allows me to create fun soaps such as our popular watermelon soap. Also, the popular rubber duck soaps are always a hit with the kids (both young and old). 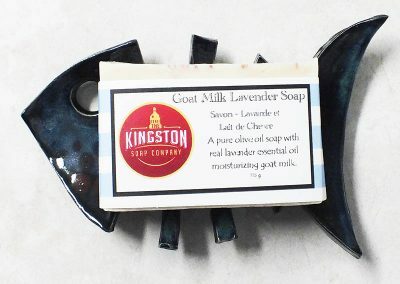 Be sure to check out the rest of the product line when you are at The Kingston Public Market. 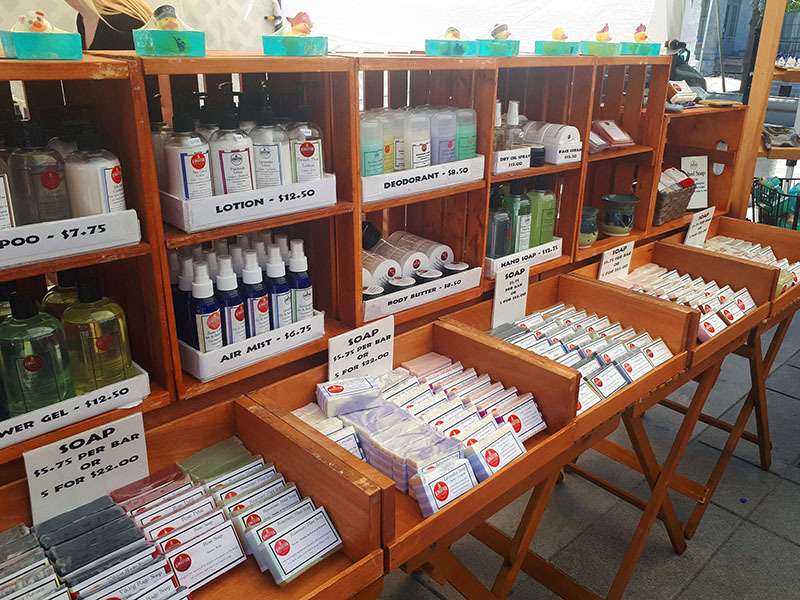 The line up includes bath bombs, shampoo, shower gel, lotions, deodorant and our very popular face cream. Over the past couple of years, I have also been busy making pottery to add to my lineup. I love to play with clay! I make soap dishes as well as a range of mugs, bowls, plates and vases. All are one of a kind designs. I recently branded the pottery side of our business as Dhe’n Dor Pottery. I originally come from Cornwall in the UK and this is Cornish for “From the Earth”. 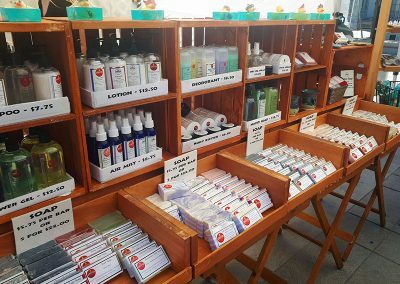 Home-made soaps, bath bombs, shampoo, shower gel, lotions, deodorant, face cream. 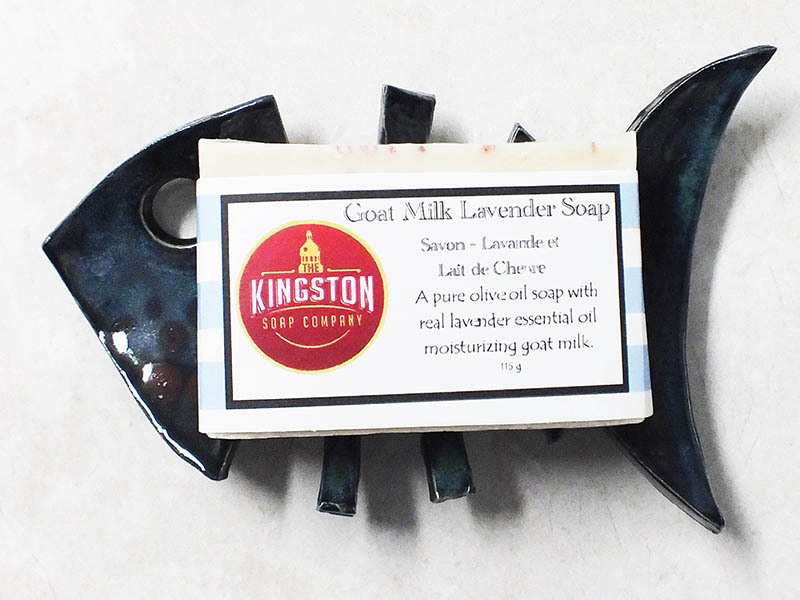 One of a kind soap dishes, mugs, bowls, plates and vases.